Who doesn’t love silk? 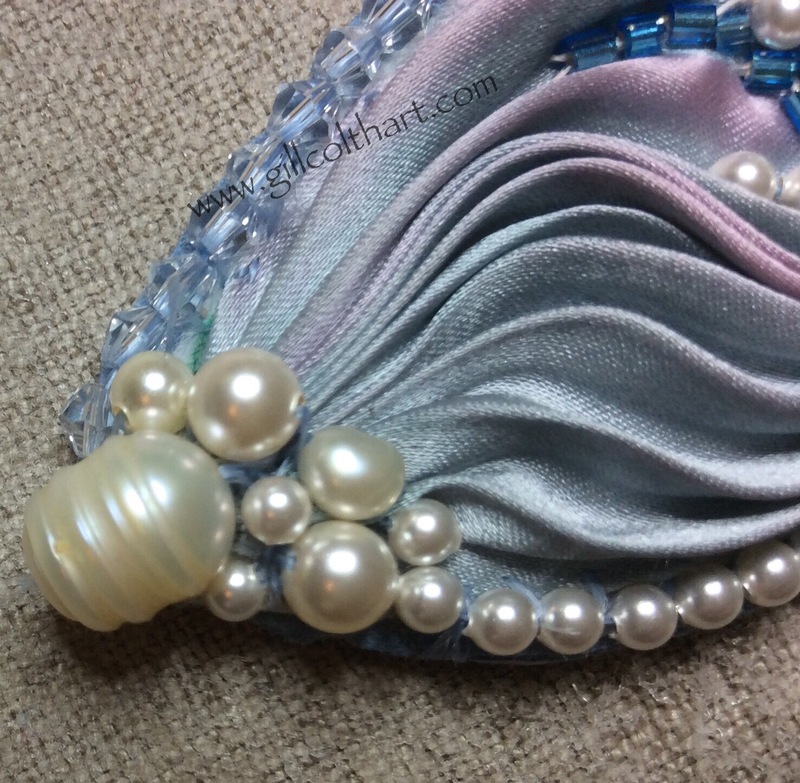 Any of you who know me or follow my blog will know that I love working with silk ribbon. 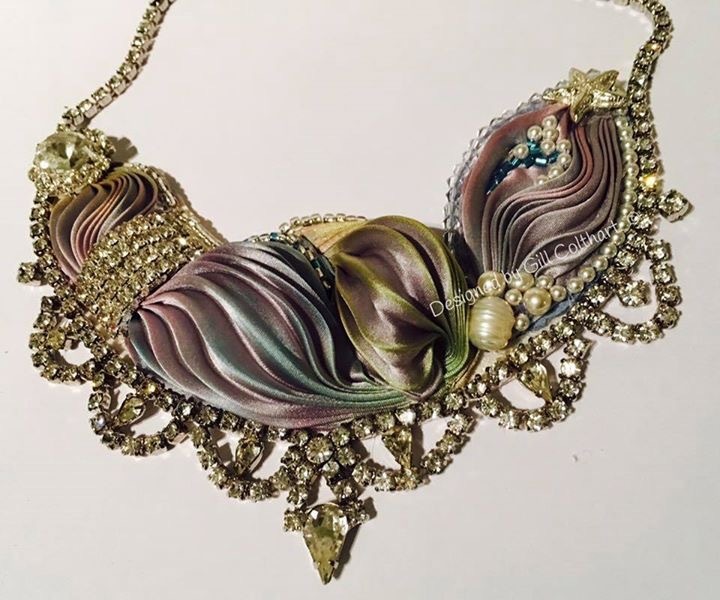 Recently I came across picture of a project made with Shibori silk ribbon. I had never seen, or heard of it before, and it is not surprising that I had to try it. According to Wikipedia the earliest example of the shibori technique dates from the 8th century, in Japan. 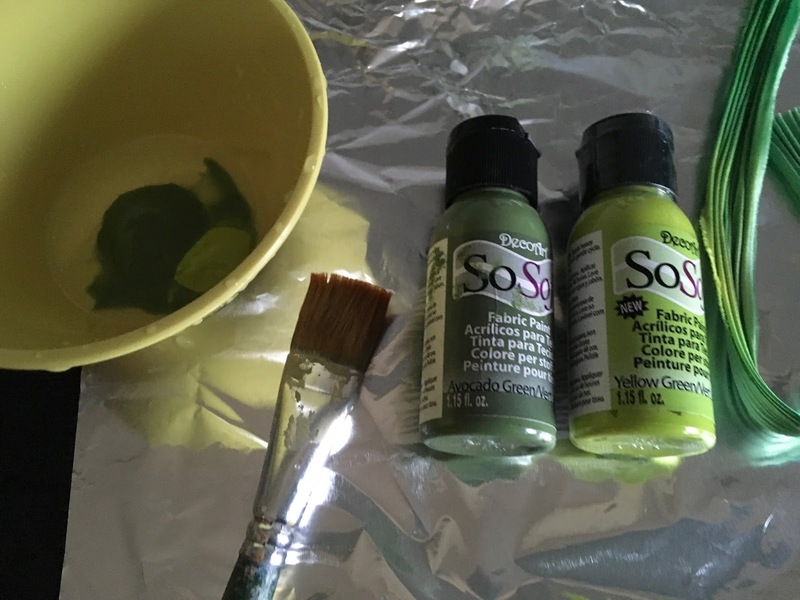 The modern method is to wrap ribbon around a pipe, tightly wrap a cord around it, scrunch the fabric together, then apply cold water dye with a sponge. I ordered ribbon from Etsy and waited patiently for it to come across the pond to Scotland. Unfortunately I had a little shock when Royal Mail popped a card through my door advising that I owed over £11 custom duty in addition to £11 postage! I have known for years that you pay duty if your order is above a certain level, unless your package contains a gift (from a residential address in the US) or is samples. ….I grudgingly lol paid the money and received some beautiful ribbon. 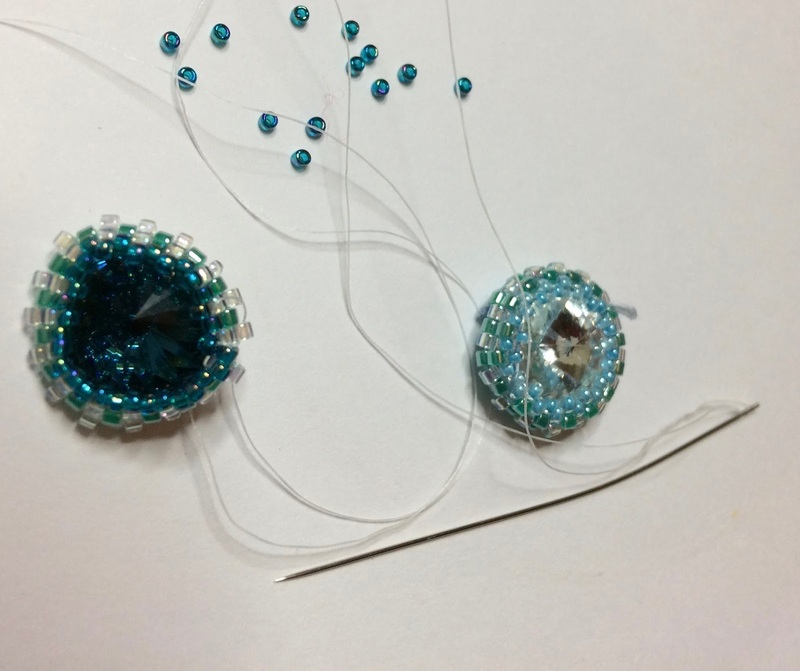 This type of work, along with beading is normally worked on a specialist backing material such as Lacy’s Stiff Stuff. I was sure there must be a cheaper alternative that could provide the same benefits. I discovered I could use Vilene Heavy duty Interfacing and, guess what? 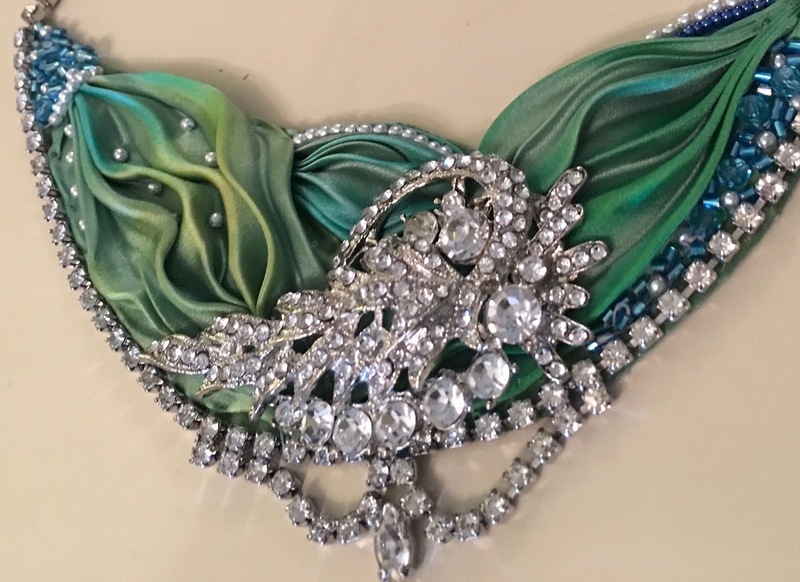 It had all the qualities I was looking for – it can be coloured with permanent markers, cut to shape, pieces can be butted together and it can be painted with DecoArt So Soft Fabric Paint so that any parts not embellished will blend in. 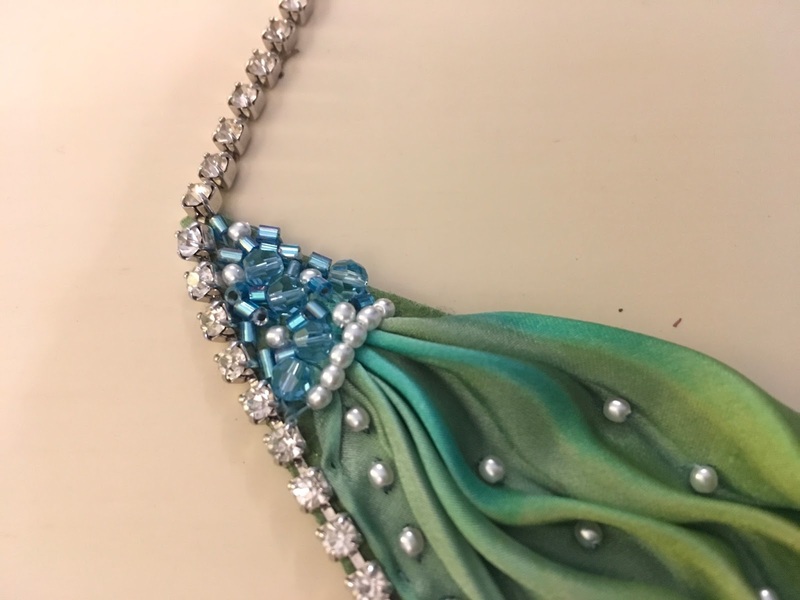 For this necklace I cut out a template, interfacing and suede backing material, then painted the interfacing with a 60/40 paint/water mix of So Soft paint. I then left it to dry overnight. In the picture below you can see where the backing is showing. 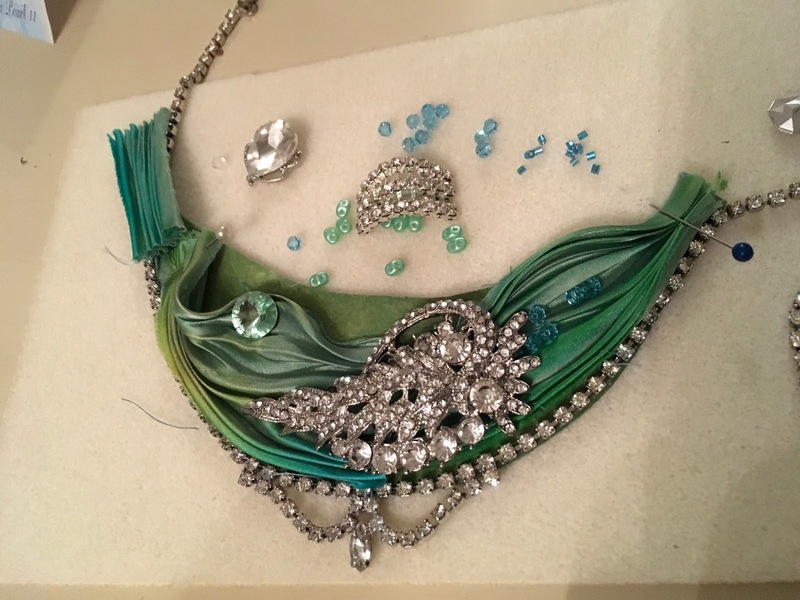 Most of this will be covered with beading, cabochons or rhinestones but, if there is a part showing it will now hardly be noticeable. 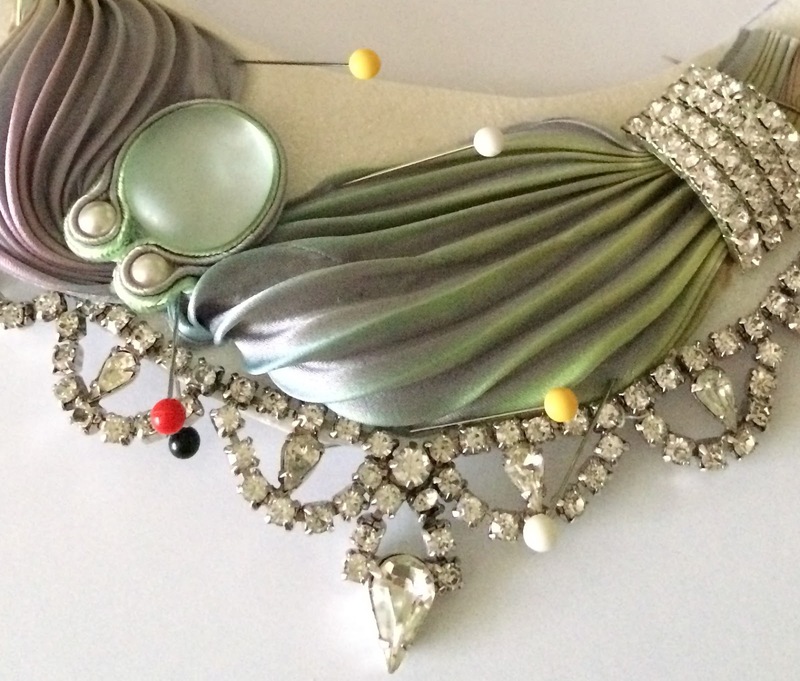 I am loving working with this medium and, already I have been inspired to try new things to embellish the projects. 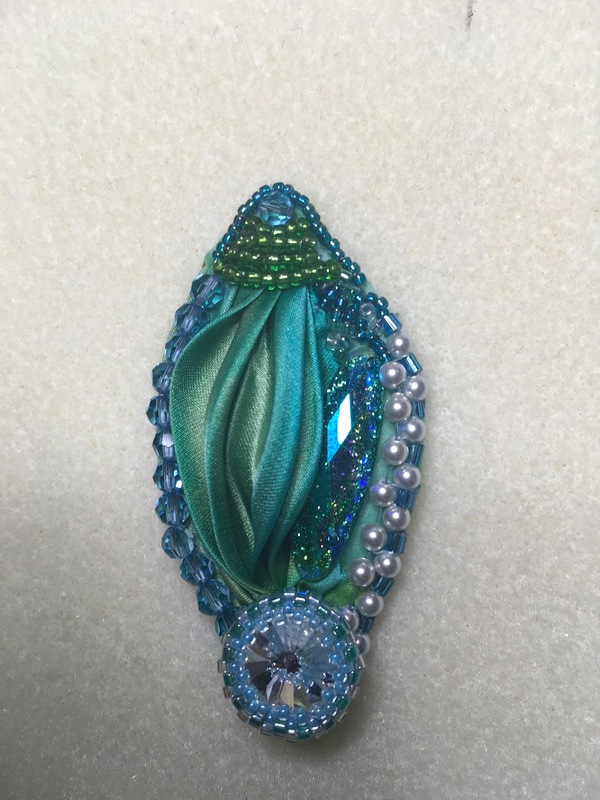 I have just about mastered beading Swarovski Rivoli chatons and am working on learning the soutache technique. The possibilities are endless with shibori and the sewing is something you can really get absorbed in – the only down points are pricked fingers and picking up dropped beads which seem to get everywhere!